As the year draws to a close, and the base wines have finished their alcoholic fermentation the people of Champagne are excited about the 2013 vintage. Many had been worried by the late harvest dates; it has been 25 years since the harvest dates lingered into October. 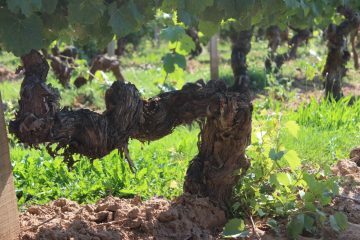 The development of the vines had been significantly slowed down earlier in the year by the long winter and cold spring. Flowering tentatively started at the end of June for the white grapes (chardonnay) but the cold and rainy weather made for irregular fruit set. Pinot noir and meunier mainly flowered in the middle of July when the sun had finally come out to play. Summer stayed hot; in fact the region had its highest ever mean temperatures for the months of July and August, which was great for the grapes. A short rainy spell at the beginning of September allowed the vines to replenish their water supplies before the sun returned to provide optimal maturation conditions right up till harvest. It is quite rare in Champagne to have such a long Indian summer with temperatures regularly peaking above 70 degrees till well into October. Despite the good weather many vignerons were anxious right up till harvest. 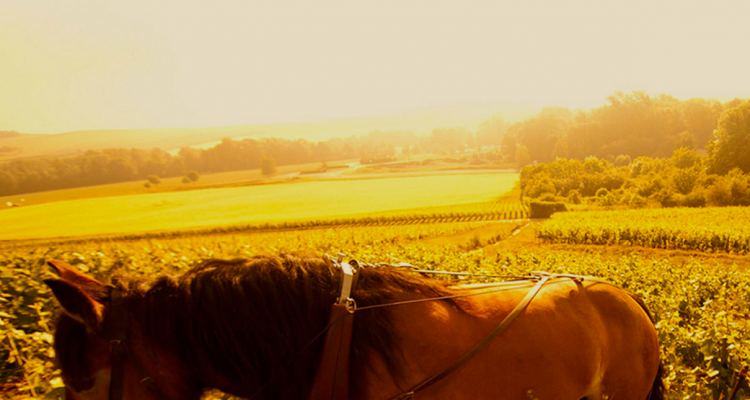 After the small 2012 vintage where the region had to dip significantly in their reserves to make the appellation, vignerons and négociants alike were hoping to bring in a decent crop. 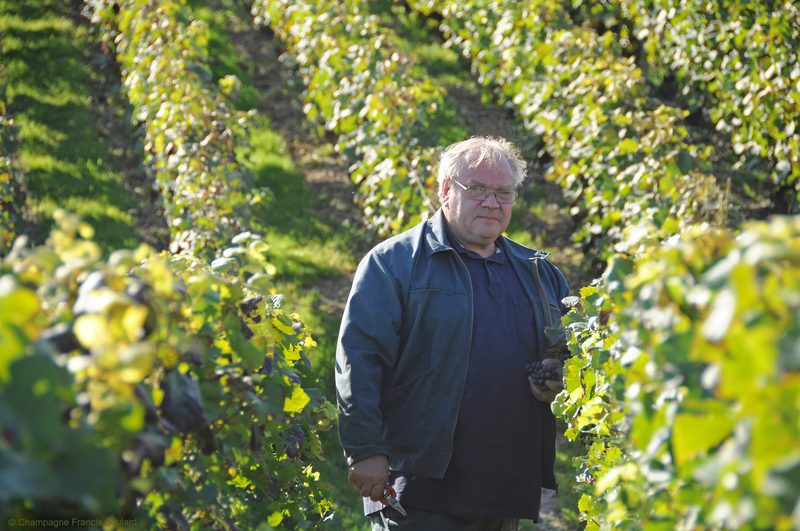 The appellation yields had been set in July – quite early in the game – at 10,500 kg/hectare of which 500 kg had to come out of the ‘Réserve Individuelle’ (RI ) and another 3000 kg/hectare to top up the RI again (so maximum 13,000 kg/hectare). The yield restrictions are set every year by the Champagne Bureau (CIVC) taking into account two factors: actual crops on the vines and sales forecasts for two years from now. It is more than likely that 2013 will be a vintage year. It has, just like 2012, all the qualitative potential to make age-worthy wines: great acidity, good sugar content and a low pH. 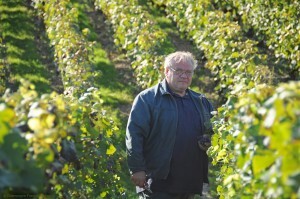 Dominique Demarville, cellar master at Veuve Cliquot, tentatively compared the 2013 harvest with 2008 or 1995. Roederer’s Le Caillon saw similarities with 1996, 1988 and 1982 and believes 2013 “could be a great Cristal year.” Charles Philipponnat from Champagne Philipponnat also confirmed they will make a 2013 Clos des Goisses. The Clos des Goisses is a single vineyard vintage cuvée only made when the quality allows it. Besides the qualitative characteristics, 2013 has more chance than 2012 to become a vintage year as this year’s harvest was more plentiful. 2013’s total harvest volume is large enough to make vintage wines without compromising the non-vintage wine volumes. We should not forget that more than 80% of the Champagne produced and sold is non-vintage, and these are the volumes which need to be guaranteed. 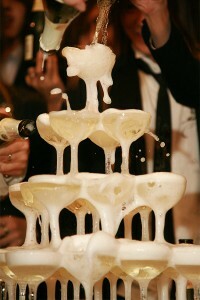 Vintage Champagne is just the cherry on the cake.